This is the end, my friends, last week’s finale of The Walking Dead: The Final Season has capped off Clementine and AJ’s tale of misery and woe. While it’s been fun getting to see the development of the girl who overcame the apocalypse, all good things must come to an end, and while this episode has a few missteps along the way, its ending cements itself as an emotional dénouement to the events that have been building up for nearly seven years. Take Us Back begins after the events of Broken Toys, with Clementine and AJ trying to escape the sinking Delta ship that her group took down in the previous episode. While the surviving character from the cliffhanger dips out, we’re still treated to the dwindling group of kids as they run away from walkers who have gathered around the explosion. 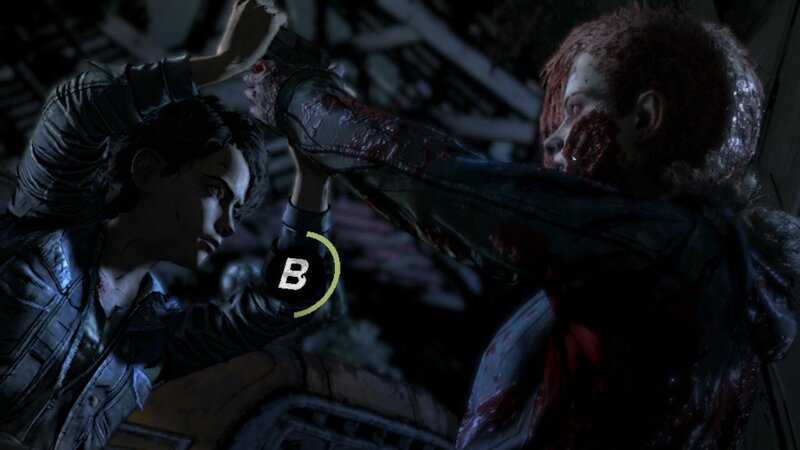 While the episode is mainly a return trip to Ericson’s School for Troubled Youth, Clementine still has to deal with the aftermath of the Delta raid, with her trying to protect AJ and the others in any way she can. 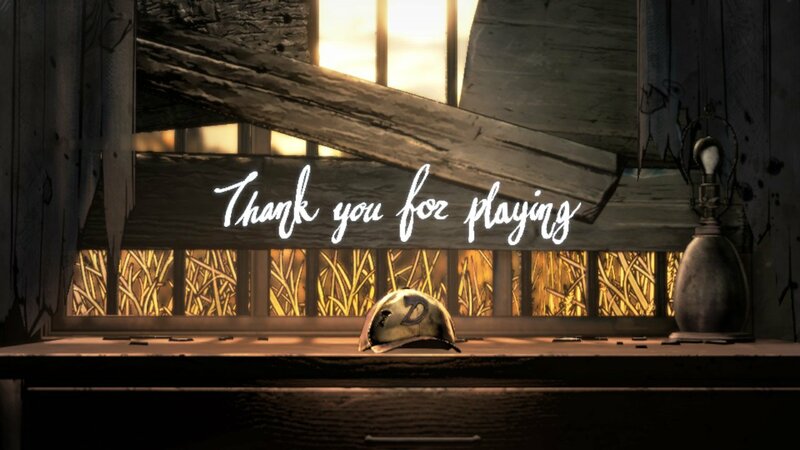 For those that have been faithful to Telltale’s narrative series, Take Us Back feels like a throwback to the finale of the first season, with Clementine in Lee’s stead as she leads her group back to safety. That, of course, is easier said than done, as one final threat looms in their way. For an episode that didn’t feel like it had a villain for most of it, I was surprised at how tense Take Us Back could get. Unlike Broken Toys (which I believe is the highlight of the current season), this episode has only a handful of characters to focus on, as most of the supporting cast is whisked away and out of the plot. In an egregious example, the person you saved in the previous episode leaves out of their own volition, which breaks the illusion of choice (something that does happen within these titles, but feels a little jarring here). That being said, I did enjoy the cast that was represented this time around, and there were a lot more quiet moments with Tenn and Louis or Violet (the latter which still carries over from your choice in episode 2). As much as I had a tepid opinion for Suffer the Children, I admit that one decision really did stand out here. The action sequences were pretty exciting as well, from the beginning where you have to escape a burning boat right up until the end of the episode. The Walking Dead: The Final Season feels most like its first season in this episode. From the journey and personal struggles of Clementine paralleling Lee’s turmoil to some of the insane events that happen near the ending, it has the potential to be a masterpiece in narrative storytelling. However, the game has a feeling of trying to just finish the story. While not rushed,the pace feels faster than normal. This is especially disappointing when you get dropped into a flashback sequence during the climax. 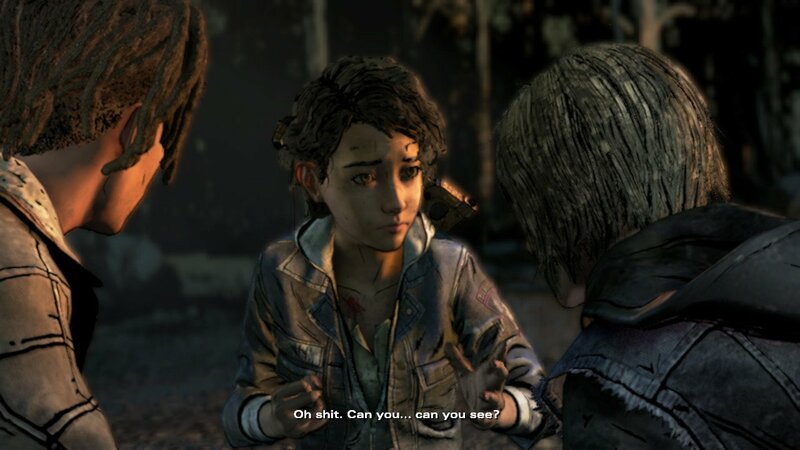 While it is a crucial event (establishing Clementine’s fierce determination to save AJ in a moment that takes place during seasons 3 and 4), the placement of it feels very uneven and almost killed my interest to see what happens afterwards. Putting this sequence before the climax (or even as the introductory section) would have made a lot more sense here. That being said, the payoff of Clementine and AJ’s relationship is proven to be the best aspect of the season, and it’s as good as Lee and Clementine’s dynamic here. 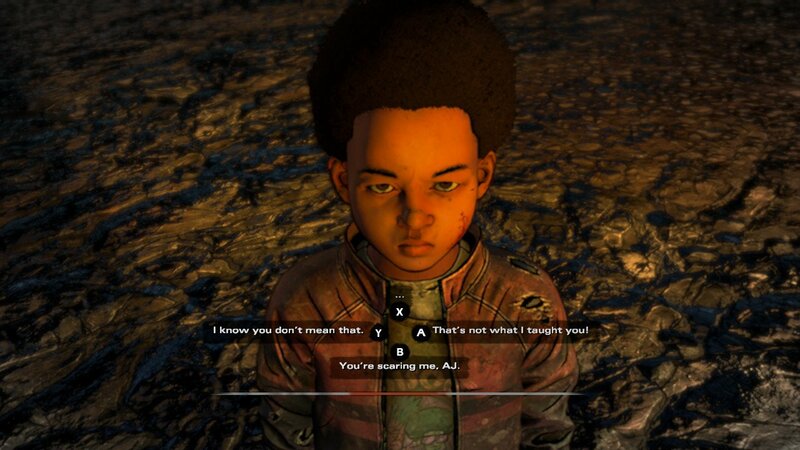 One scene has you assume the role of AJ, and while the interactions and prompts are short, they highlight how much the child has grown, culminating in an ending that may leave you emotional for a while. In the end, while the series has seen its ups and downs, I think as a whole, it has the chance to be a modern classic.